Based in Marin and founded in 2003, MFP Prefabrication SA creates prefabricated concrete parts of all colors, sizes and shapes, weighing up to 15 tons. No fewer than fifty production processes are executed every day by the company. Fifty employees work together to achieve such a result. 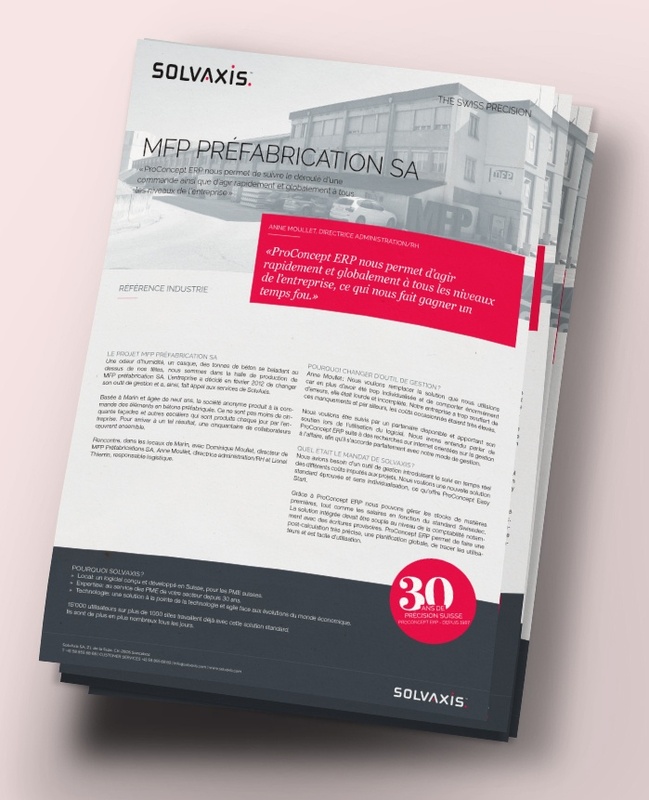 Discover the success story of MFP préfabrication and its achievements with the business management software ProConcept !